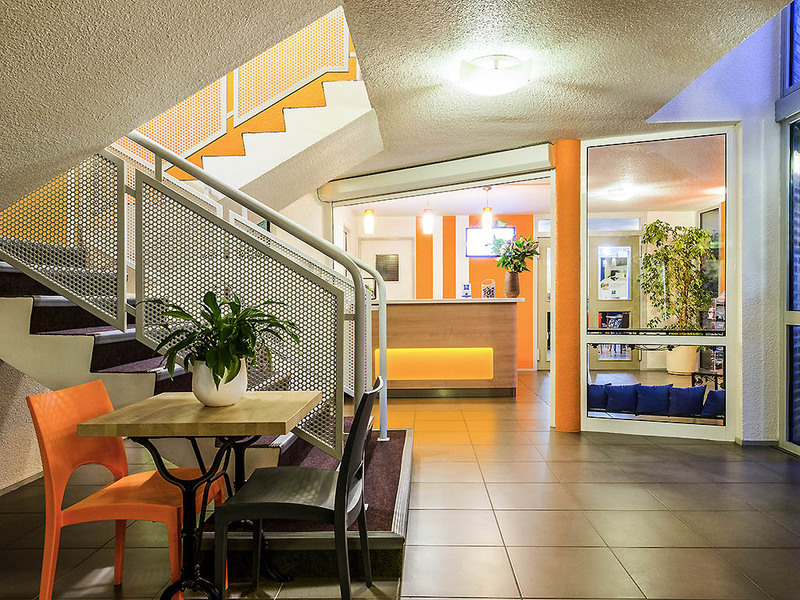 On the edge of Chatellerault, near the A10 highway and just 1.8 miles (3 km) from the TGV train station, the hotel is open 24/7, offering a quiet and comfortable environment. Rooms are equipped with a desk, LCD TV, free WIFI and private bathroom with show er and toilet. A free, secure private car park is also available. In the morning, a buffet breakfast awaits you in a cozy, welcoming room equipped with a TV and a range of newspapers for you to enjoy. The hotel boasts a meeting room that can accommodate up to 15 people, which opens onto a terrace and a landscaped garden. Many restaurants nearby. Futuroscope Theme Park is 20 min away by car.